Got this email from Sara Wilson, a lady who I’ve never met, but I think her program deserves attention. Here’s her self-described program and contact info. The Outdoors is good for kids. I sent you a couple of emails over the past few weeks and I wanted to try one last time. As a lover of the great outdoors, I thought this would be an issue that you and the readers of Rich Fletcherâ€™s Blog would care about. The Fresh Air Fund is in need of host families for this summer. Host families are volunteers who open their hearts and home to a child from the city to give them a Fresh Air experience that can change lives. If you could help to get the word out it would really help us place these wonderful children into a loving host family for an experience that can change their life. There’s a war going on. It’s a conservation culture war. Traditionalists believe hunters and fishermen have been major supporters of wildlife and there is plenty of evidence to support that claim. Those who oppose consumptive uses would like to find a way to supplant that financial underpinning for wildlife habitat. This is nothing new, but there are other wars going on within the conservation community as well. Within the Federal and State Wildlife agencies there are those who believe in “hands on”government and those who believe in only government oversight of activities that can better be developed by private enterprize. This battle is typically between those whose comfort lies with relying on the dominance of a big government run by bureaucrats vs those who work in the private sector and believe in the creativity and efficiency that financial rewards can produce. One example is the ongoing battle between private sector interests (conservation and mitigation banks) versus Habitat Conservation Plans (HCP), which is a big government venture. These entities are so counter to each other that the USFWS has two competing departments within its organization and the two don’t seem to be able to coexist. In another arena, it appears that the California Department of Fish and Game is about to extinguish the private sector from managing endowment accounts that private continuous funding for Conservation Banks. Eliminating the private sector and NGO from this industry is misguided. There would certainly be growing pains while private enterprize faces the steep learning curve required to set up these programs, there would also be a big payoff. The use of private parties and NGOs to hold endowment funding for long-term conservation programs which assure the perpetual existance of many species, would minimize the cost to taxpayers and build a conservation network much larger than we can afford government to become. Currently, big government seems to be winning the war and private enterprize seems to be waning (in both the large and small arenas), but you never know as politics are volatile . Personally I enjoy freedom derrived from being entrepreneurial and independent. Maybe I’m an endangered species. The fire jumped a road and headed east across our property. Or should I say Wildlands Fire – sounds bigger. Never had a fire on our property before, before Friday that is. Wasn’t sure what to think when our leasee called to say we’d been burned out. All the cattle were safe and moved. Ground fried. Apparently somebody got a little careless at a nearby day use area and ignited the fire. I decided to make a trip over on Sunday to see for myself. 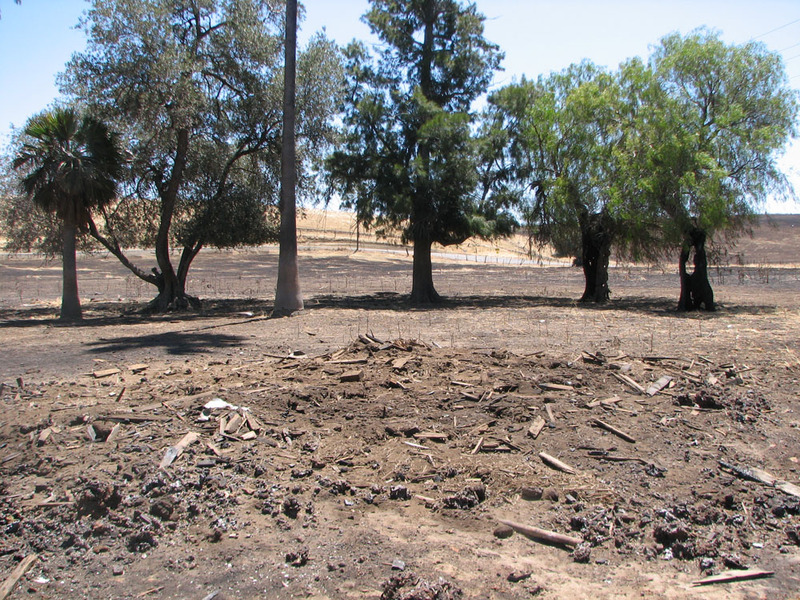 Everything seemed pretty normal, except the ground was black and anything that burned was gone, including a wood pile that we were expecting the haul to the dump – saved us a couple thousand dollars. A large wood pile was stacked for hauling. This is what was left after the fire. The leasee was accurate in her evaluation. 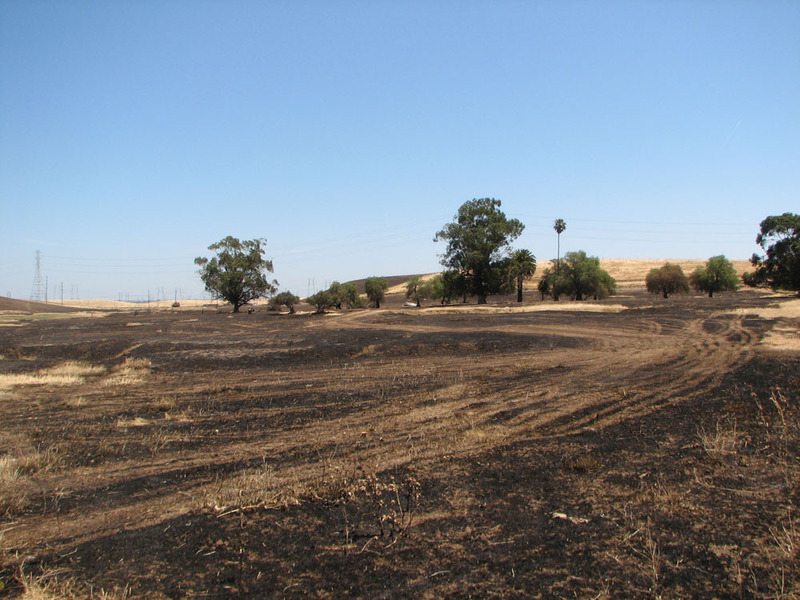 About 40 acres of grass remained with about 100 acres burned, somewhere between 25 and 35% of the property. And, a five-acre area of wetland which refused to burn. All in all, it wasn’t such a bad thing. Here are a few photos. 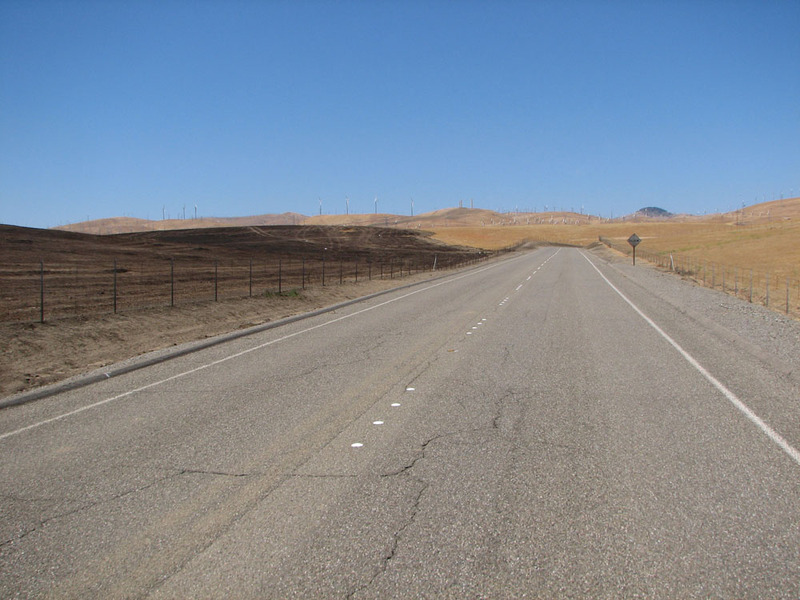 On the north boundary a main road stopped the fire. 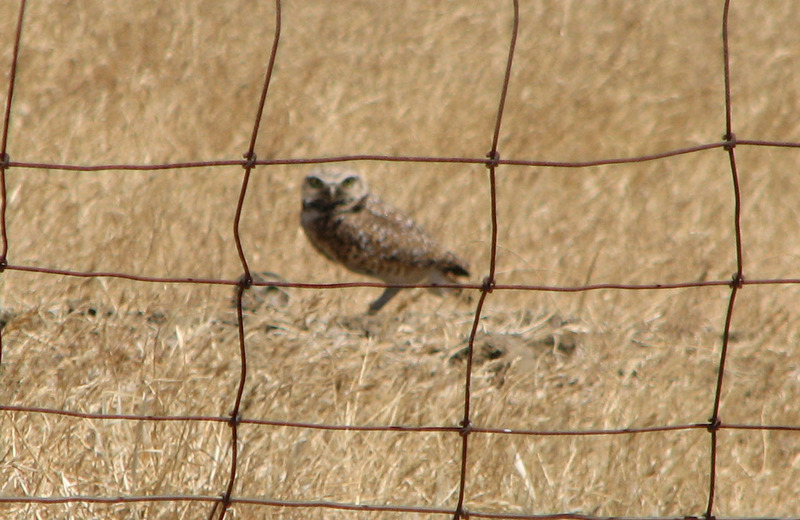 The burrowing owl nest across the street was unscathed. 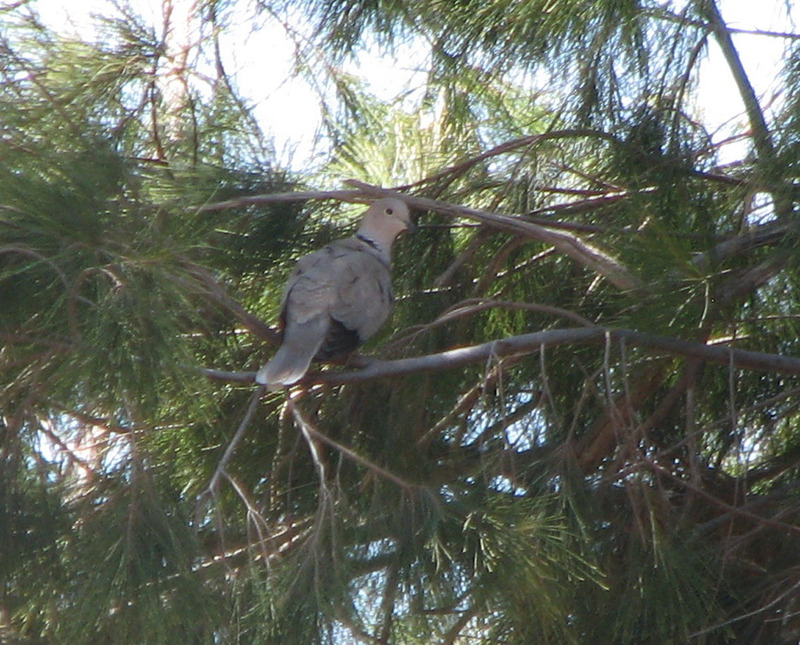 A collared dove nest seemed to be in tact. The fire may have raged for a day, but all is quiet now and we are non-the worse off. In fact, you could say it was a net positive. 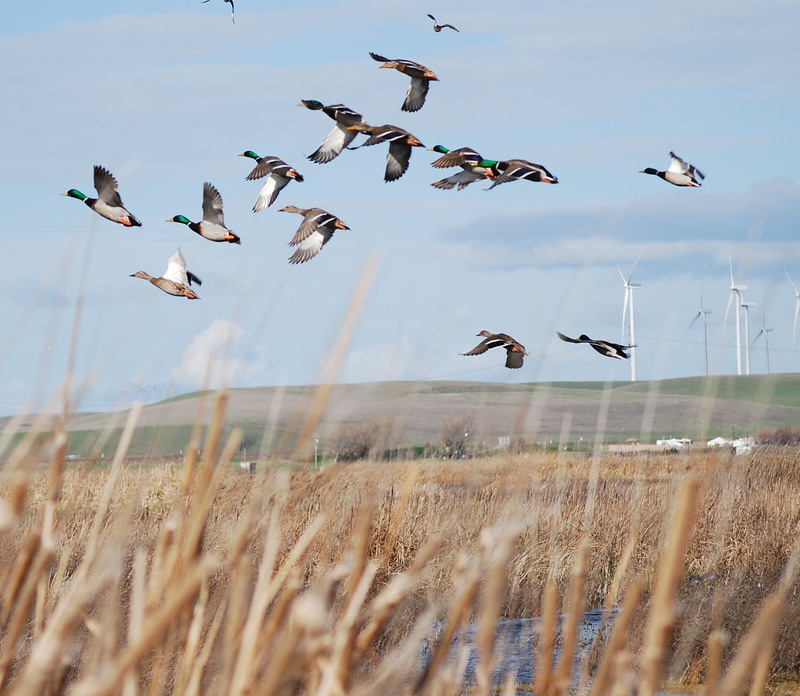 California Waterfowl, America’s largest state waterfowl and wetlands organization, announced today that John Carlson, Jr., has been named as the new President. Carlson is a lifelong outdoorsman and is widely respected for his passion for and dedication to California’s natural resources. Carlson will continue to serve as the Fish and Game Commission Executive Director until he officially begins his new position on July 8. Carlson was selected by the Board of Directors during a North American search to replace Dr. Robert McLandress, who stepped down from the position at the end of 2009. Carlson is leaving a distinguished career with the California Department of Fish and Game (DFG), where he dedicated over 21 years to the conservation and management of the state’s fish and wildlife. He served in several leadership roles, overseeing both game and non-game birds and mammals, and eventually was appointed as Chief of the Wildlife Programs Branch. In this position, Carlson oversaw all DFG hunting programs, including waterfowl. In 2006, Carlson’s expertise in biology and policy were recognized, and he was appointed as the Executive Director for the California Fish and Game Commission. Carlson was born in Illinois and began hunting pheasants and ducks with his father as soon as he was strong enough to carry a shotgun. He moved to California in 1981 to work and pursue a degree in Wildlife Management at Humboldt State University. Upon graduating in 1987, he landed a job with California Waterfowl leading a mallard nesting study at Honey Lake and Ash Creek Wildlife Areas in northeastern California. Carlson’s interest in nesting waterfowl inspired him to attend graduate school at Iowa State University. He studied pintail in the heart of the Prairie Pothole region with leading scientists from the US Fish and Wildlife Service. His resulting Master’s thesis was one of the first attempts to use computers to model breeding pintail. Once you find a hyena den, you’re going to get some action as the den will house adults, sub-adults and also the very young. The adults share the duty and watch over each other’s young. 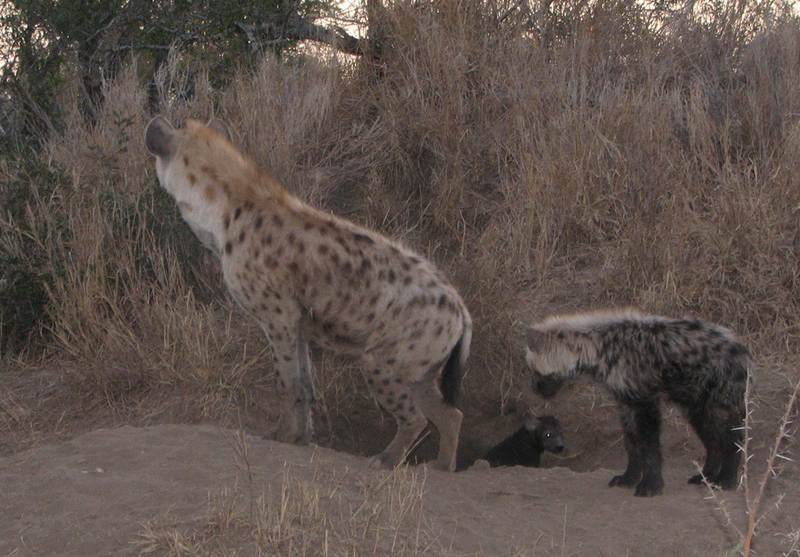 Hyenas share baby sitting duties amongst the pack. Watch this video as a young hyena follows a Francolin grouse past our Land Rover. What’s a Duck Club Worth? The value of a duck club is as subjective as any real estate evaluation on earth. You never own the ducks. An appraiser would look at duck club sales and compare the price, annual operating costs, taxes and acreage to come up with a value. A few days ago I got a call from a duck hunter who was evaluating a duck club offering in the delta. He’d checked out my blog and decided that it would be worth his time to give me a call. He gave me the salient facts. 1,000 acre club, ten partners, $2,500 per acre price for land under a wetlands reserve easement. 100 acre closed area, 7 days per week shooting, $40 per acre per year reclamation fees and a club house that he didn’t intend to use. He then asked if I thought it would be a good purchase. This is where things get dicey. Was he a hard-core duck hunter who appreciated quality time in the marsh? Or, was he a trophy duck-club owner who mainly wanted to impress acquaintances with his duck club address? I assumed he was the former, not the later and told him that the price sounded OK if he could afford it. He said he could and sounded as if he was ready to move on it. For sake of discussion, my clarity and your benefit, let me review the purchase. It may be helpful down the road to take a closer look at his purchase. The price was straight forward – $250,000 for 1/10th share of 1,000 acres. The fixed annual fees are pretty easy to estimate. Reclamation – $4000. Taxes – $2,500. If he’s borrowing the money, he should figure an annual interest cost of about $5,000 – $7,500 per $100,000 borrowed depending upon his borrowing rate. Most duck club buyers either pay cash for this type of property, or the seller provides financing. Let’s assume he pays cash. That means he’s out at least $6,500 per year. But that’s not the end of the story. Duck clubs have other costs associated with operations. Insurance for one and that can vary depending upon the owners and the type of ownership entity. A duck club should have an operating entity that creates an annual budget, pays bills and takes care of business. Somebody will be in charge and that person will probably want to be paid. Usually these fees are not large, but in this case I would estimate that the individual managing this club will want at least $200 per month. The insurance will probably be $1,000 per year. That adds up to another $340 per partner. Add in electricity and we can call it $400 per partner. Duck clubs need to be maintained. That means they must be mowed, plowed and or sprayed. To plow the club one time around may cost $10 per acre – just a guess. Therefore I would estimate that the annual cost of maintaining the ponds would be about double that or $2,000 per share – including irrigation management, water control maintenance etc. That puts the annual cost at about $9,000 for each owner. You can add to that a few other costs personal in nature. The good news is the only time a buyer evaluates the cost of a duck club is when he’s making the decision to purchase. Once you own a club, you will just blindly pay until you either die, go broke, quit hunting or decide to purchase a new club. It’s easy to divide up the cost of ownership. The tricky part of a duck club purchase is dividing up the hunting. That depends upon the individual member’s allowance of time, flexibility and desire. A scenario that includes hunting every day tends to create a problem that’s hard to resolve – competition between owners. Having a system to give each owner a fair chance to enjoy the benefits of ownership is as critical to the success of a duck club as the availability of water. 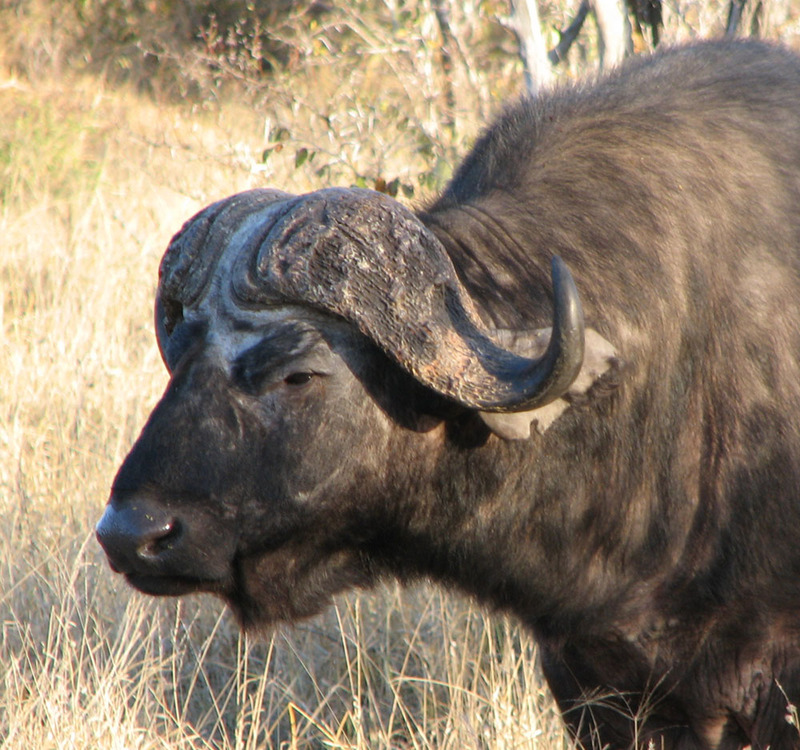 Here's a cape buffalo bull called a dugga boy. As we toured Kruger National Park during our 2007 visit, cape buffalo were uncommon, but we did encounter them on a couple of occasions. Both times we found dugga boys. Here’s a video clip of one encounter. On another day, we were dropped off about a mile from camp and walked in with our guide who carried a large-caliber rifle just in case. As we passed through an opening in the bush we came upon a dugga boy standing about 30 yards from us. He didn’t seem to care about us, but the guide scooted us away. During the remainder of the walk we were extra cautious.